Charlotte Who? I'm not entirely sure if there are people out there who aren't quite sure who Charlotte Tilbury is. Incase you are one of those people, Tilbury is a British makeup artist whose list of celebrity clients makes the inner Hollywood geek in me freak out a bit. From Kate Moss to Blake Lively, to Kim Kardashian and Amal Clooney, Tilbury certainly has established herself with over two decades in the industry. I've been itching to try Charlotte Tilbury products since they started showing up on the British beauty scene. I'd see Zoe (Zoe Sugg/Zoella) talk about her lipsticks and from then on out, it was over. This long time need to try out some Charlotte Tilbury lipsticks combined with my friend talking up the two products that I have today...I knew I had to pick some up. There aren't a lot of Charlotte Tilbury makeup counters in the United States and I didn't want to order anything blindly offline without at least testing some out first. I made it a priority to haul my booty over to Bergdorf's to test out some products. I ended up going home with the 'Filmstar Bronze & Glow' Face Sculpt & Highlight in the lighter shade (there are two) and the 'Eyes to Mesmerise' Cream Eyeshadow in the shade Marie Antoinette. Contouring and highlighting is, hands down, one of my favorite parts of my makeup routine. I've been cycling through different bronzers/contour colors of the course of the past few years, trying to find my favorite. Not to say that this one isn't one I'm fond of, but it definitely took me a few tries to get the hang of it and to make it work. It's definitely more of a subtle sculpting palette, but it builds so incredibly. Once I learned how to layer it without it looking too muddy or patchy, it was smooth sailing from then on. If you're looking for a natural, seamless highlight and face contour, you've come to the right place. The price tag is a bit intimidating, but for the incredible rose gold packaging and the size isn't terribly bad, either. You get .56oz of product (so, after doing some simple math, .23oz per side). The powders are so soft and glide against the skin. 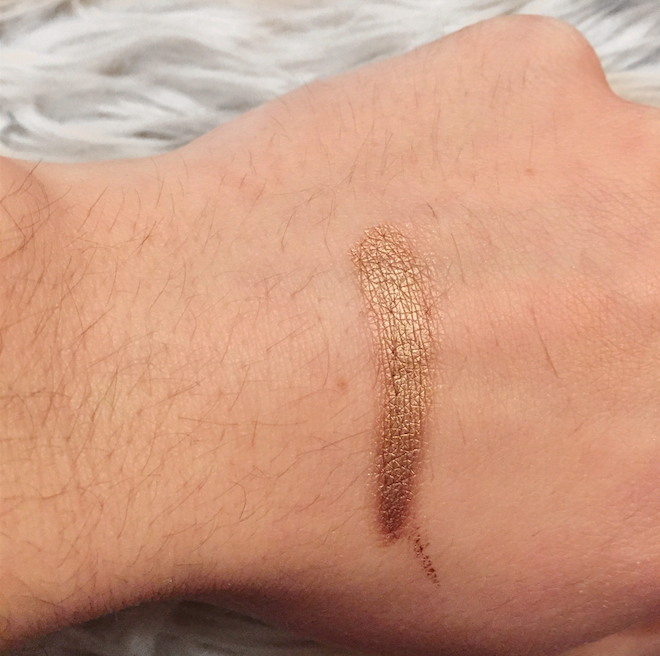 While the bronzer portion isn't totally matte, the shimmer is subtle and when applied to the skin appears as more of a bronze-y glow. Hence the name, I suppose. This was the product that my friend raved about the most and honestly, I get it. I so, so get it. Cream eyeshadows are my summer staple because they're just so easy to swipe on and go out for the day. 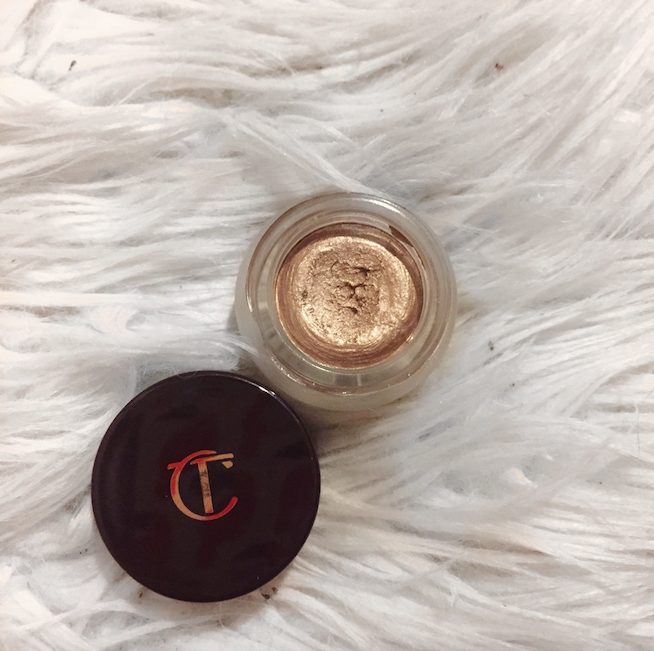 This is unlike any other cream eyeshadow I've ever tried. It's a mouse/cream hybrid, I swear. It's not super liquid, but it's much less stiff than a standard cream eyeshadow you'd find. The unique texture makes it incredibly easy to apply and build up. 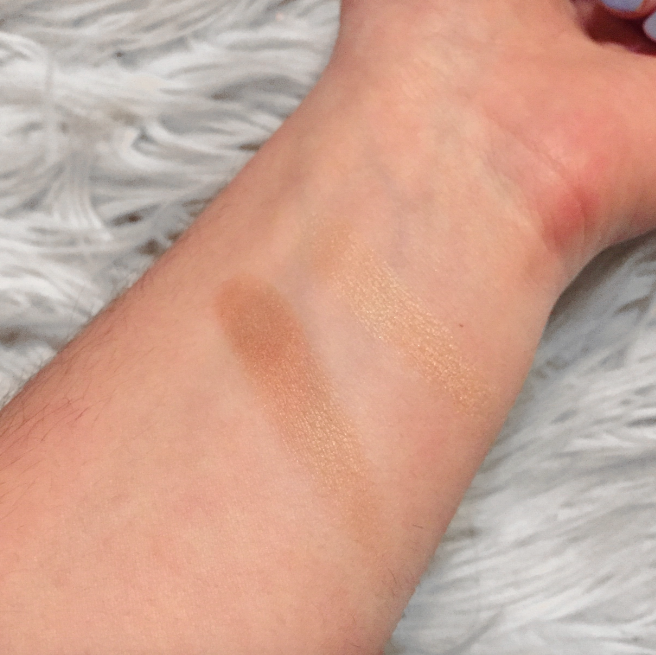 With less pressure, you can get a nice sheer layer of color and with a heavier hand, you can pack on the cream eyeshadow to reach the true color in the pot. I got the shade Marie Antoinette after swatching that shade, Jean, and Bette side by side. I decided that this color was best suited for me at the time, but I have well intentions on purchasing those two shades because I am in love with this product. I can create a whole eye look with it just by applying a sheer layer on the whole lid and packing in product on the outer corner. It's the most beautiful combination of gold and bronze, an uber flattering color for my skin type and eye color. And it lasts, my god does it last long. I barely even need a base to keep it on all day. It adheres to your eyelid, but it's absolutely weightless. It feels like I'm wearing nothing, yet it the color payoff is out of this world. 10/10 would recommend this one. 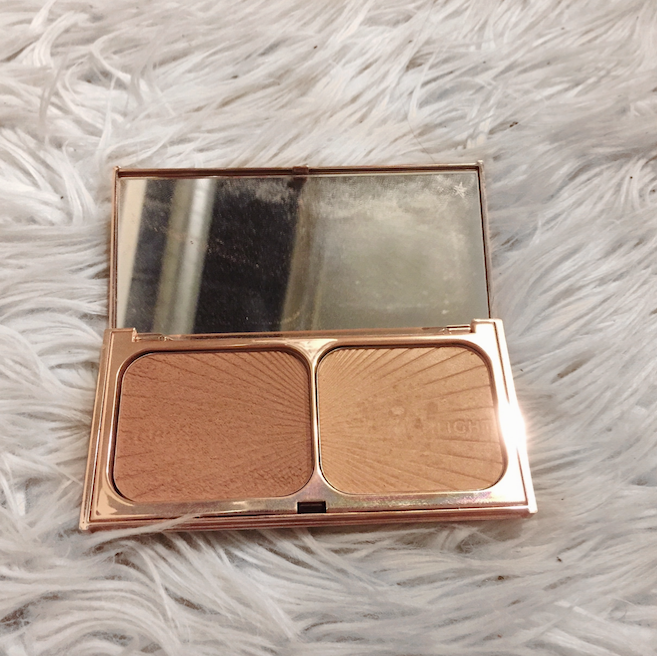 Have you tried out any Charlotte Tilbury products? Which are you favorite?